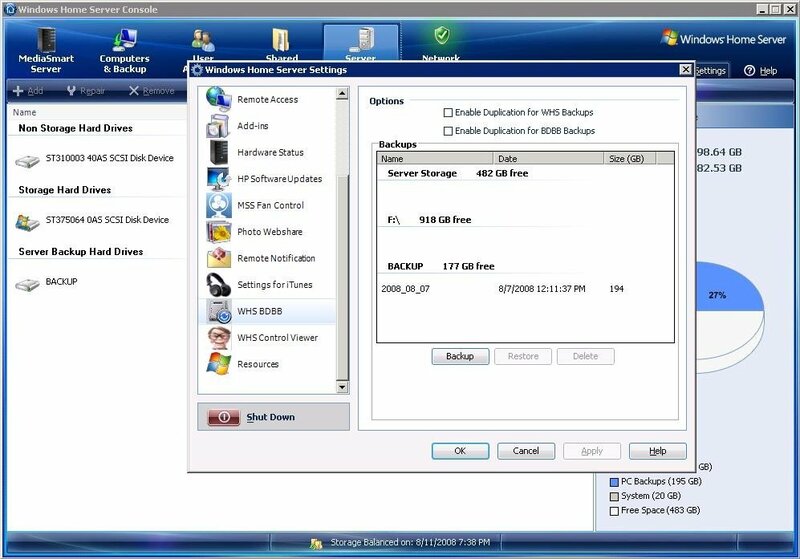 A new add-In called WHS Backup Database-Backup (WHSBDBB), allows you to backup the WHS Backup Database which stores all your client PC backups. This is a feature MS promised back at CES 2008 but unfortunately it did not make it to Power Pack 1 PP1. Author Alex Kuretz has basically automated the manual steps defined in the WHS Backup documentation. current 4GB chunk must complete before the cancel can be completed. decreased performance for streaming, slow Console response, etc. tested very extensively, so please report bugs and feedback! 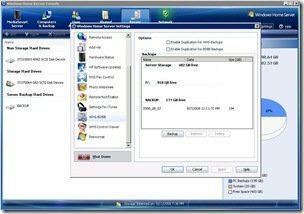 install and work correctly on non-English versions of WHS. backups of backups ftw. looks good. Absolutely. I’m in the middle of a rebuild to get AHCI working on my homebrew WHS box, and I’m doing exactly this. You reload the OS, reinstall the addin and restore your db.